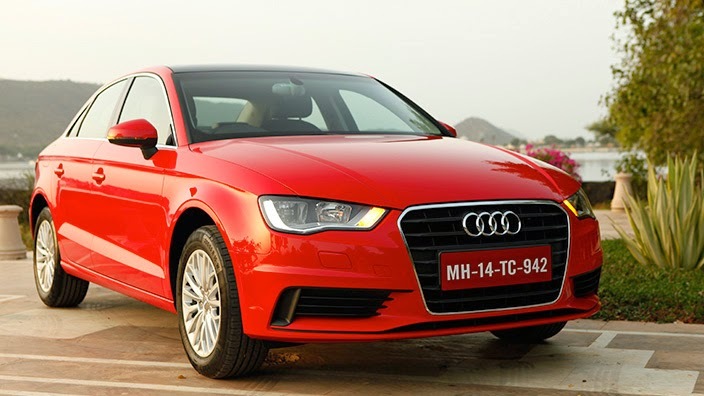 German luxury car maker Audi has launched its entry level sedan A3 in India with price starting from Rs. 22.5 lakh (Ex-showroom, New Delhi) for the base diesel variant. Audi A3 is available in two fuel options – Petrol and Diesel. 4 trim levels are available for diesel - Attraction, Premium, Premium Plus and Technology and only one Premium Plus trim for petrol. Audi A3 petrol is powered by a 1.8L 178 Bhp TFSI engine mated to a seven speed automatic gearbox. The diesel gets a 2.0L 141 Bhp engine and 6 speed automatic transmission. The car comes with 17 inch alloy wheels.